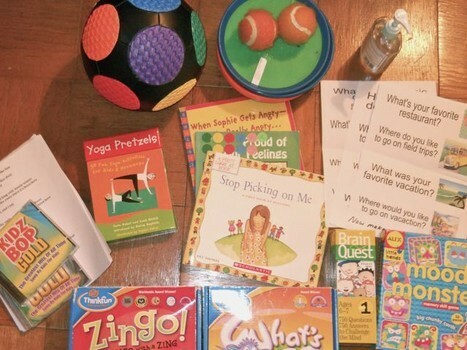 Activities for play dates include books, sports equipment and games. Photo by Mike Frandsen. Autism news in 2012 once again centered on the dramatic increase in autism rates. In March, the Centers for Disease Control estimated that one in 88 children has autism, up 78 percent from 2002. Scientists increasingly learned through research that autism is largely caused by environmental and man-made factors, a departure from the view held years ago that autism’s causes were nearly all genetic. Meanwhile, educational and therapeutic interventions continued to evolve, with a strong emphasis on play skills as a way to improve social and life skills for children on the spectrum. Links and excerpts from 10 autism articles from 2012 are below. Members of the House Oversight and Government Reform Committee questioned representatives of the National Institutes of Health and CDC about research priorities and subsequent results. A second panel of autism advocates testified about concerns ranging from research to services for people with autism. See the video here. Numerous congressmen on the committee harshly criticized the NIH and CDC for a lack of effective research results, while agency officials at times struggled to come up with answers. The safety of vaccines was discussed, an issue that NIH and CDC insists is not linked to the rise in autism. However, many parents still steadfastly believe vaccines are one of the causes of the disorder. Members of the House committee recounted instances in which parents told them of children developmentally regressing immediately after being subjected to vaccines. To read excerpts from the articles on Examiner.com, click here. Babies in the womb and during their first year are two to three times more likely to develop autism if exposed to high levels of traffic-related air pollution and poor air quality, according to a recent study. Researchers at the Keck School of Medicine at USC published the study in the November issue of Archives of General Psychiatry. The study compared 279 children with autism and 245 control children with typical development in California. Metals and chemicals may be part of the toxic stew that affects fetuses and babies, which are more susceptible to toxins in the environment. Keeping children and adults with autism and other disabilities safe from sexual abuse is a critical topic that people don’t like to talk about, but warrants more attention than it often receives. Several studies have indicated that children with disabilities face a higher risk of sexual abuse than those without disabilities. According to the National Sexual Violence Resource Center, women with disabilities are sexually abused at a rate at least twice that of the general population. Children with autism and other disabilities can be especially vulnerable because of communication problems or a lack of fear. Incidents may go unreported because children with disabilities may not be able to convey what happened, may not fully understand what is inappropriate, or may not be seen as credible because of communication problems. One of the most frustrating and heartbreaking problems for children with autism and their families is when kids have poor verbal communication skills, or even an outright inability to speak. Despite trying every therapy under the sun, some children may never communicate verbally. However, for those who do learn to communicate out loud, identifying the words that go with particular items can give them a jump-start to understanding the concept of communication. One simple intervention that can be accomplished in the home, even without a professional therapist, involves labeling household items. This may make the home look tacky, but the potential gains trump those concerns a thousandfold. If children see the words that are associated with objects day after day, week after week, month after month, and year after year, they should eventually learn them. If done in conjunction with a reading program, kids can learn words in a concrete way in a natural environment. To read my entire article on Examiner.com, click here. Learning involves more than just numbers and words, especially for children on the autism spectrum. Harvard researcher Howard Gardner’s Multiple Intelligences Theory states that eight distinct types of intelligences can be developed to help students reach their potential. This is in contrast to traditional approaches that focus solely on logical-mathematical and linguistic/verbal intelligences, which may underestimate the intelligence of students with special needs. For a well-rounded approach to learning through play dates that may incorporate hidden strengths of students, click here to read an article on Examiner.com. Have you ever seen a sports team flounder because it had so many different coaches and systems? The same can apply to special needs students – continuity can improve learning. To read the rest of my article on Examiner.com, click here.